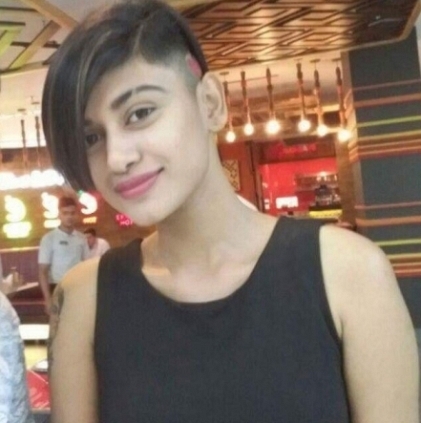 Oviya fetched a new fan base through Bigg Boss, and even after her exit from the show, people still support and stand for her. It should be recalled that director C.S.Amudhan had tweeted once stating that he would cast Oviya in Tamizh Padam 2 if she wishes to be a part of it. Yesterday (12th August), when a particular follower on Twitter asked C.S.Amudhan if he would live up to the words he stated about casting Oviya in Tamizh Padam 2. Amudhan replied to that question with a tweet, "Unga thalaivi ya phone on panna sollunga pa...". This tweet is roughly translated as, "Ask your thalaivi (leader) to switch on her phone". With this reply, it looks like C.S.Amudhan has tried to contact Oviya to talk about Tamizh Padam 2, but the Kalavani actress has been unreachable. Title of the next song from Mersal is revealed! Tajmahal fame Riya Sen gets married! Vijay reveals this breaking update on Mersal! Wow! Tapsee enters the Bigg Boss house! Massive Mersal update comes your way! Actress Oviya’s Next Film Idi Naa Love Story To Release Next Week. People looking for online information on CS Amudhan, Oviya, Tamizh Padam 2 will find this news story useful.